This week promises a trip to Paris during which I hope to catch up with some research that I didn’t have time to do during the course of my thesis. One of the people I wrote about in my chapter on sport in France was the sportsman-journalist, Franz Reichel. A joy of researching can be coming across unexpected little stories and fragments of archive that don’t really fit into what you’re writing on at the time but that you know may prove to be useful at some point in the future. Having finished a piece of work for a book on South African cricket this week it’s now perfect timing for me to look into the statue of Reichel that was put up after his sudden death in 1932. But this post isn’t really about Reichel, as you can tell from the title. I’ll save him for another post, maybe when I’ve got back from Paris. The nature of his death does give him something in common with the man whose picture is at the head of this column. 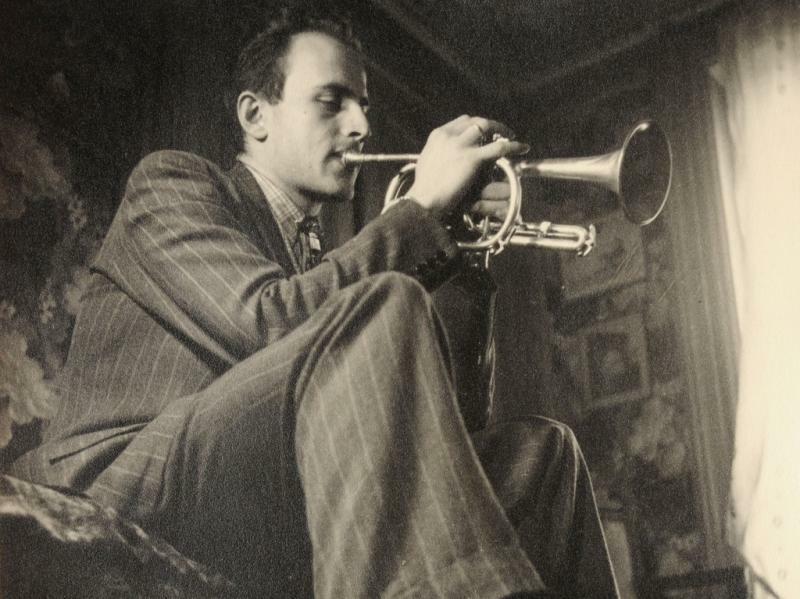 Reichel died of a heart attack at his desk at Le Figaro and Boris Vian, pictured playing quite an unusual cornet, also died suddenly at the premier of a film adaptation of one of his own novels. Vian was more than a trumpeter. He wrote novels both foul and elegant, under many different names. He was a thinker, a translator, a jazz man and a great songwriter who wrote one of the most eloquent anti-war songs of the twentieth century (‘Le Déserteur’) and a song that expresses the joy and sadness of drinking (‘Je Bois’) better than any other work of art that I know. I could write about Vian a lot. Elsewhere on the BBC there’s a short clip from Jonathan Meades’ series on France that shows more imagination, more intelligent analysis and more interest in script and pictures (isn’t that what tv is for?!) in 1’51” than ‘The Story of French chanson’ does in an hour. What it made me realise was that the story in the documentary was told very much from an anglo point of view. It pretended to insider-ness but in fact was a history of French music as it was received in the UK. It wasn’t genuinely interested in the genealogy of the genre but merely on its product as consumed this side of the Channel. Hence the focus on Trenet, Piaf, Gainsbourg. And also the neglect of Vian (too obscure), Distel (too cheesy for the snobs of BBC4 when in fact he was a very fine jazz musician before he ever became a housewife’s favourite) and numerous others. And yet, and yet. While I was feeling all smug about trashing the show at the same time it provoked a certain amount of anxiety about my own work on France. A feeling that was reinforced this week after reading the first piece in Richard Cobb’s collection of articles, Paris and Elsewhere. * Cobb describes how he came to study France almost by accident. In the year between leaving school and going to university he had first gone to stay in Austria, intending to learn German. But finding the place unsympathetic he came home, found a family to stay with in Paris and lived the rest of his life as a man who could pass between England and France and appear a native of both. The grounding for his life’s work was that initial year when he was completely immersed in the life of Paris. The depth of experience of the culture, the magisterial view it gives when looking at the archive, is somewhat awesome. After reading Cobb’s book I questioned whether I could ever aspire to write a decent piece of work on France (in my case sport and culture in the Belle Epoque) with the result more likely that I might turn out something just as trite as the BBC4 documentary. Or worse! Self-doubt is a crippling thing when you’re trying to write. So how to overcome the fear of being a phoney, say when writing about someone like Reichel? And I write this in the light of Cobb’s own piece. The most important thing of course is to be as comprehensive as possible in analysing sources and footnote everything. As a historian you’re not expecting to give the absolute definitive version of something, just a version that is grounded on solid research. That way your opinion as a historian can be questioned but not your integrity. Then of course there is the fact that my grasp of what a middle-class Parisian journalist like Reichel was like is only marginally less secure than that I have on the nature of the man I want to compare him with, C. B. Fry. The fact that I’m English doesn’t really give me a privileged insight into who Fry was; his background and upbringing was entirely different to mine. So really, all history is a research into the unfamiliar. In fact it’s better to look sceptically at events, people, places and to remain aware of your fundamental ignorance in order to base what knowledge you have on sound sources and extensive secondary reading. And finally to let the mind wander around the fringes of what you’re researching, to let the unexpected more easily be stumbled upon. Unexpected things are often the basis of originality, sparking fresh ideas, fresh lines of research. While the internet is amazing for showing us what we want it’s not very good at showing us what we didn’t know we wanted. Which is why the archive will always trump the database. 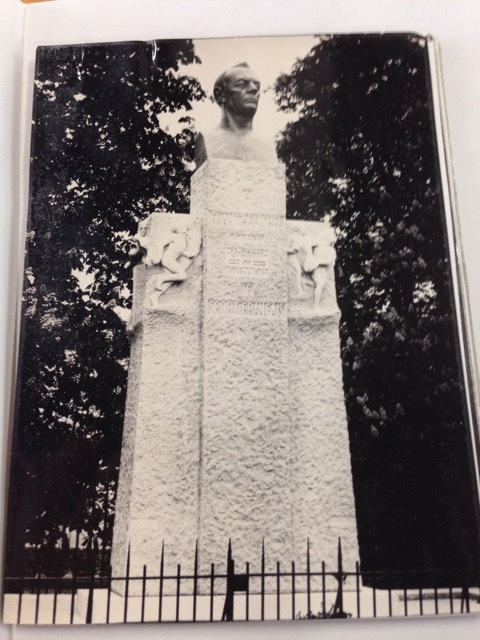 In the archive you stumble across the most amazing things – like the picture of the statue of Reichel, which I found in a bundle of papers in an archive. The story that goes with it may not come to much, it might only make a paragraph of an article or chapter, but until I’ve chased it up I won’t know. So the first task in Paris is to find the statue. * R. Cobb, Paris and Elsewhere: Selected Writings (London, 1998). I can’t recommend this book enough. ** I don’t want to mention P****a C***k. I assume the producers had no choice but to let her front it because they were being blackmailed. *** I guess we should be grateful that the documentary was made at all in this Eurosceptic world. 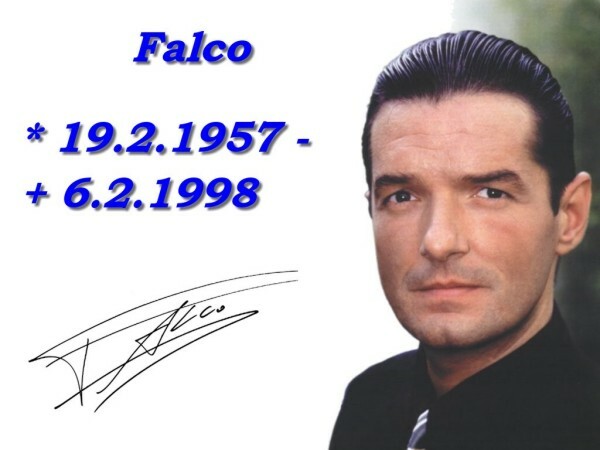 It was while watching this extraordinary video by Falco that the impossibility of any English broadcaster ever making such a film about German pop brought a little sadness to my heart. Most English people have heard of Rock Me Amadeus but Der Kommissar was really his masterpiece. This entry was posted on June 7, 2015 at 12:35 pm and is filed under History, Television, Writing. You can follow any responses to this entry through the RSS 2.0 feed. You can leave a response, or trackback from your own site.